Happy Easter with Healthy Chocolate Treats! Struggling with weight gain, hormone imbalances, sugar cravings and digestive problems can be hard at the best of times, particularly during Easter when you are surrounded by chocolate. For some of you, it probably feels that by just looking at chocolate causes weight gain! So how about some healthy chocolate treats that are gluten-free, dairy-free and guilt-free this Easter? As you know, commercial chocolate and other Easter treats such as Hot Cross buns are not great for the waist line, hormones, skin health and for some, their digestion. So what sort of treat can you have? Below are three delicious healthy Easter guilt-free chocolate treats based on the superfood, cacao. Combine all the ingredients in a blender adding the honey/syrup/dates first, followed by the avocado, vanilla and cocoa. Blend until smooth and creamy. Add a splash of water or coconut water to make a lighter mousse. Spoon into a bowl and allow to set in the fridge. Serve with seasonal berries and enjoy! 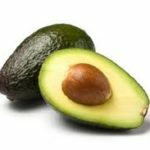 The avocado provides a creamy consistency and is rich in healthy anti-inflammatory, mono-unsaturated fats. It is also a good emulsifier and combines the ingredients beautifully – intensifying the wonderful flavours of the chocolate and vanilla. This dessert is delicious on it’s own or used as a topping for ‘healthy’ cakes and cupcakes. The addition of 2 tablespoons melted cacao butter or cold pressed coconut oil will firm up the topping. You can also add one serve protein powder to boost up the protein. Put coconut butter in a bowl and place in another bowl of hot water, stirring until liquefied. Stir in other ingredients until smooth. Pour onto a lined baking tray and pop into freezer for 5-10 minutes. Alternatively, you could put mixture into little moulds. Place all ingredients except the cacao nibs into a food processor. Add cacao nibs and pulse until just combined. Tip onto a lined tray and firmly press into desired shape. Place in the fridge for an hour or so, until it is starting to firm up. Take it out, and cut to desired sizes. Put back in the fridge for further firming after surreptitiously eating a couple – make sure no one sees! The botanical name for the cacao tree is theobroma cacao – which means “food of the Gods” in Greek. Cacao powder has been shown to improve heart health, lower blood pressure and reduce LDL (“bad”) cholesterol. It is high in magnesium, iron and phenylalanine which boosts mood (often the reason why some women crave chocolate for their PMT/PMS symptoms). It also combines really nicely with some pea protein, maca and lacuma (other terrific superfoods) with your choice of non-dairy milk as a protein shake – a blend I have every day!